Last Sunday, I had a revelation. I have not been known for my affinity with technology. Now, that was not the revelation—that has been a rather well-known fact for quite some time. Stories are still told among my friends of when I first got my cell phone during my second year of college and my utterly incredulous and speechless reaction when they showed me how to turn on my speakerphone. I have required the assistance of multiple knights in shining armor to rescue important college documents from my ongoing feud with a rather vicious printer. My computer has died without reason. I’ve lost my phone multiple locations, and even had to have it mailed to me when I was in Orlando this past October. I can text at a speed equivalent to a tortoise. I’m still trying to figure out why on this blog the last letter on the right side is cut off for some (but not all) of my readers who use Explorer. I could go on, but you get the picture. 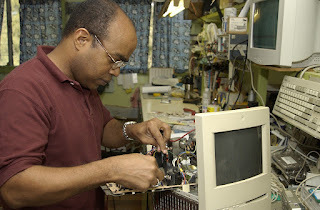 I’m not particularly technologically illiterate. Just clueless. 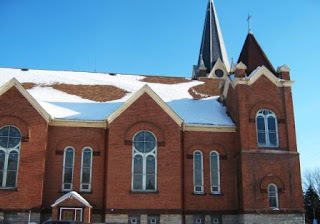 But last Sunday, I was in the coughing stage of recovery from the flu, and so, in order to not drown out the pastor’s sermon, I had to go home early from church. While I was sitting in bed, hacking away, it finally dawned on me that I could still listen to a sermon. I could listen to a podcast. But not now! Last Sunday I listened to my first podcast—a sermon by Mark Driscoll—and I could even turn it up loud enough to hear it over my convulsing lungs! Rather tickled by this new discovery and wanting to test it out while I was healthy, I’ve since listened to two more sermons (including the one I missed by my own pastor). I’ve been told that I ought to download podcasts or sermons before I head to Papua New Guinea, since I will appreciate the spiritual food and teaching that isn’t as available when I’m in a more remote situation. However, I won’t necessarily have the Internet bandwidth to download them there, so I need to build up a cache before I leave. Since I’m not too familiar with this rather exciting prospect, perhaps you can help me out. Where are good places to download sermons/teaching (especially if they are inexpensive and legal)? What (or whom) do you like to listen to? I’ve been told about John Piper, John MacArthur, and Mark Driscoll—they have many sermons online. If you could take 5 sermons with you, which ones would you pick? The other day, I spent several lovely hours returning to my childhood as I read The Twenty-One Balloons by William Pène du Bois. It follows the adventures of the explorer Professor William Waterman Sherman who takes off from San Francisco in a balloon and ends up escaping with twenty-one balloons from the island of Krakatoa just before it explodes in a huge volcano. But before the explosion, he discovers…. But you’ll have to read that part for yourself. 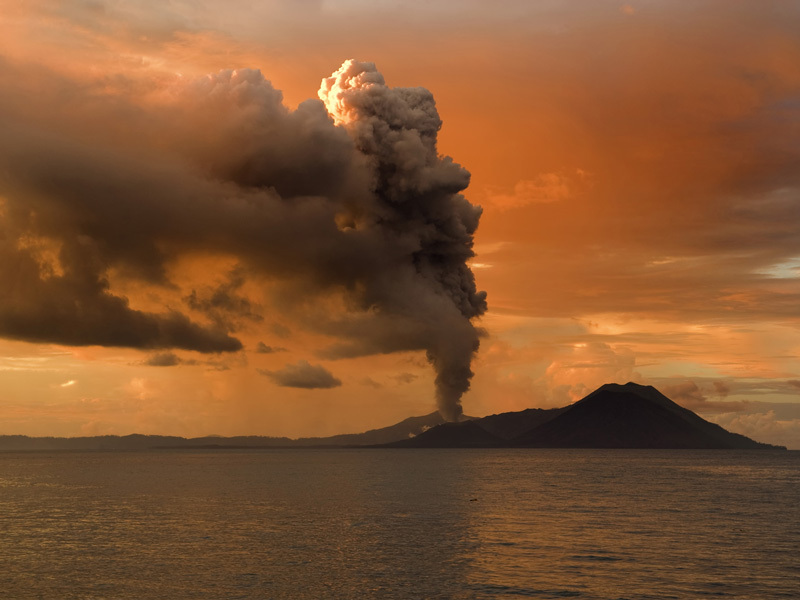 Similar to Krakatoa, Papua New Guinea is well known for its volcanic activity. In fact, it contains the most active volcanoes in the South West Pacific, just bordering the infamous Ring of Fire. The volcanoes strech in an arc from the north coast of New Guinea near the border with Indonesia, to Bougainville Island in the east. Volcanoes in Papua New Guinea occur in nine provinces. They have formed as a result of the Australian and Pacific plates colliding. Eighty volcanoes have been located within Papua New Guinea, 14 of which are active, 22 dormant, and the remainder are extinct. The most recent volcanic eruption was Rabaul in 2006. The Rabaul Volcanological Observatory keeps an eye on the activity of the tempestuous mountains and is careful to warn citizens if there is any threat. Maybe they even use balloons! Back translations can produce funny results. Especially when Google does it. And uses 56 different languages. Take this simple (and sadly accurate) statement about today’s weather: "If it warmed up 50 degrees outside, the temperature would still be below freezing." And 56 translations later we get: "Temperatures below 50 Degrees." Well, it’s true... but not quite my original sentence. And again: "Thankfully, my car decided to start this morning before I went to work." ...56 translations later: "Before you decide, I hope that one day the car will not start"
This could get addicting—what do your translations turn out like? As any movie critic will tell you, In order for a film to thrill its viewers and garner those rave reviews, it needs a stellar script. And as any linguist will tell you, in order for a written language to successfully meet the needs of its speakers, it too needs a stupendous script. But rather than clever dialogue, witty remarks, and snarky come-backs, a script—of the language variety—has other tools up its sleeve. But, before we get too far, let’s start with definitions. 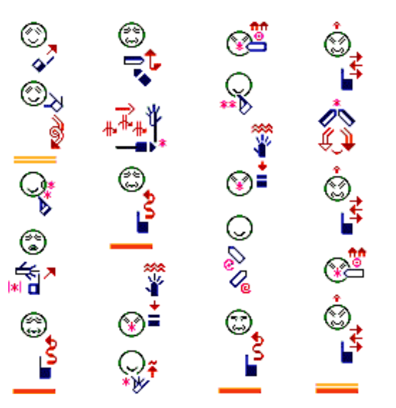 Moving out of the director’s chair and into the linguist’s office, “script” is the technical word used to refer to the style of symbols in a writing system. What’s a writing system? It’s a set of signs that represent a language in a systematic and symbolic way for the purposes of communication. Pause for a moment: this is not an alphabet, although we commonly use that word in lay English to refer to this concept. An alphabet is actually only one type of writing system (don’t worry if you are confused, I’ll explain it at a different time). For now, let’s start with scripts. Look familiar? It might not, if you went back several hundred years. Like the languages they represent, scripts will change over time—English’s own Roman script came from the Etruscan and Greek scripts. That doesn’t look so terribly scary does it? This text is Russian. I love the graceful lines of this script used to write Lao. Scripts used to write tonal languages, like this language of Lao, are unique challenges for linguists when determining how to indicate the different tones for words. 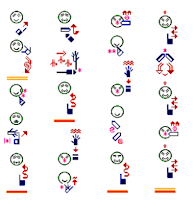 Another fascinating challenge is that of writing down sign languages. Here is a sample text in ASL sign-writing telling part of the story of Goldilocks and the Three Bears. Sign-writing is still a rather controversial topic in the deaf community. The symbols are not simply a pictorial retelling of the story. Rather, they represent complex and specific signs, including detail s of the hand shapes and facial expressions of the signer. Although one language may only be associated with one script, this isn’t always the case. For example, French, English, Spanish all use the Roman script—when you took French in high school, you, as an English-speaker, probably found it was relatively painless to form the letters. In other cases, one language may use multiple scripts—Mandarin Chinese, for example, can be written using traditional characters below (hànyŭ or zhōngwén) or the Roman script above (called pīnyīn). Some writing systems mix two or more different scripts (such as in Japanese, which combines hiragana, katakana and kanji). This Cree text can be written and read up, down, left, and right! Scripts often reflect culture—the symbols in the Cree script are traditional and familiar (making it easy to learn for mother tongue speakers). But what about other forms of writing? 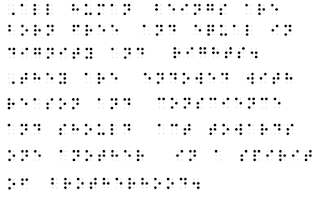 Take a look at this sample text written in the Braille script, which is used by people who are blind. 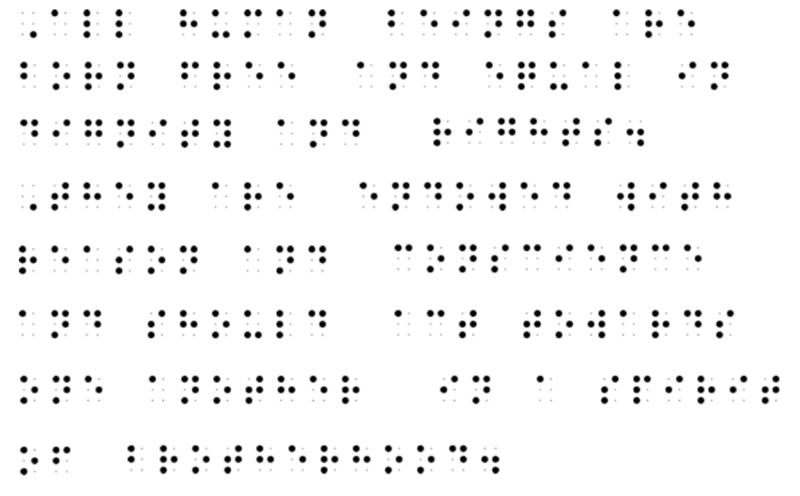 Scripts are not necessarily visual; they can also be tactile. Let’s be clear—a change in font is not a change in script. It is simply a modification of the original script. You could still read this text and recognize it as English even if I switched one of the zillion fonts found in Word 2007 (unless, of course you are using Wingdings)! Now, before you start lauding the value or ease of reading and writing your script and disdaining all others, let me point out that of course you will prefer whichever script you have learned and your eyes have seen since you first learned how to blink. You also prefer lima beans if your mother cooked them for dessert at every meal, and you prefer a house with a fireplace if that’s where you spent your favorite Christmas memories. 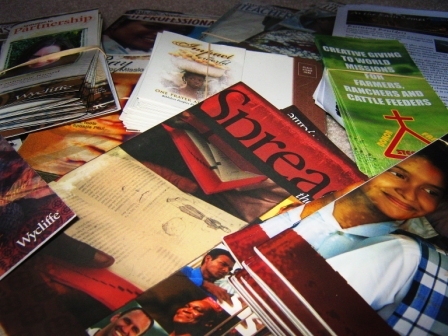 Script preferences are learned preferences, and that’s what makes them so important, especially in Bible translation. So, how do you know what script to use when you start working with an unwritten language? Although it might seem like a trivial point, a script can have significant political ramifications. If the script used is associated with a lower class, people may not want to learn it, and a translated Bible can simply sit on the shelf. Governments often desire the indigenous languages to use the same script as the state language(s) since that will facilitate an easier time switching between the two. But, in other cases, the indigenous community prefers their writing system look different from the surrounding systems in order to promote individual identity and culture. There are many heated debates on this topic, and disagreements can severely challenge translation progress. If you’re curious about seeing other cool scripts, I suggest you explore this website (http://omniglot.com/), which even includes fictional writing systems (Klingon, anyone?) and undeciphered scripts. Update: 3 presentations and 465 miles later, I'm halfway through my January PD Trip! 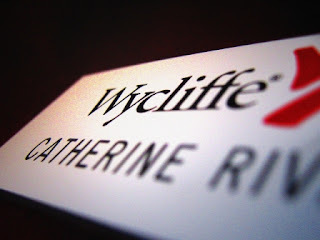 Thank you for all your prayers and encouragement--they have been invaluable and critical! I have plenty of stories, photos, and funny happenings that I'm eager to share with you all, but today I'm taking a much needed break to pull everything together for the second half of this journey. Don't worry; you'll hear about it! 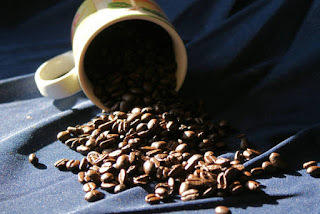 So, while you wait, lean back, grab a cup of coffee, and ponder with me the significance of this infamous black liquid over some thoughts that I jotted down a month or two ago. I don’t like coffee. It’s a well-known fact among my friends that I have made it all the way through college without ever turning to this wretched black substance. Hot chocolate, cider, even some teas are quite delightful, but coffee? No. Not at all. No, thank you. Who thought of taking beans, crushing them up, pouring water over them and then drinking the leftover bean-flavored liquid? What were they thinking? I’ve only had it three times (according to avid coffee drinkers, the liquid I drank daily in Mexico is not “true” coffee but sugar water colored brown). The first instance was probably the most scarring and began this enmity—when I was quite young, I took a large gulp from a covered cup, thinking it was my hot chocolate… It wasn’t. It was my grandmother’s coffee (and not very good quality, she said). Later, in college, I was given a white-chocolate something or other in a gallant effort to help accustom my tastebuds. It didn’t work. Finally, a month or two ago, a friend handed me a cup of instant cappuccino. “This is to help you get used to Papua New Guinea,” she said. The look in her eye told me I didn’t dare refuse (she’s prepping to be a middle school math teacher…that ought to tell you something). But she actually wasn’t that far off. Coffee is PNG’s second largest export (next to palm oil) and employs nearly 2.5 million people. Although not native to PNG (it was introduced in the 1920s), it is mostly grown in the highlands. While some coffee is grown on plantations, much of it is on small “coffee farms” that may have as few as 20 trees. These small farms grow it organically, without using pesticides or artificial fertilizer. Farming coffee is a challenge in PNG due to the limited (and often poor quality) road system, which can cause problems for getting the coffee to shipment. In the late 1990s, the country produced an average of 1.18 million bags annually, all of which were exported. Wow! Papua New Guineans know coffee. Perhaps that’s why Pastor Awateng described mother-tongue translation in this way: “Having the Bible in our own language is like having a cup of coffee with three spoonfuls of sugar. Black coffee isn't much, but put the sugar in, and it's so good." So, the next time you go to Dunn Brothers or Starbucks or Caribou, be sure to look for PNG coffee. And that cup of cappuccino I had? It actually wasn’t so terrible. Tomorrow It begins. The First One of 2011. Or, in Minnesota terms, The Big One. No, it’s not a snowstorm. Neither is it a tornado (though it might feel like it…). It’s my January PD Trip. What’s this PD trip? I will be traveling around the state of Minnesota, putting hundreds of miles on my car, giving 6 presentations in about 8 days in order to share with people about the joy of Bible translation and how they can be involved. Why so many in such a short time? Because I have an opportunity to work alongside a STEER rep (check out yesterday’s post called “STEERing clear of Chicken-Godzilla”). And so, today I am finalizing details for my PD trip. It’s also a lot of work. PD could also stand for Particularly Draining or Pretty Depleting. First there is the putting together of the Talks. 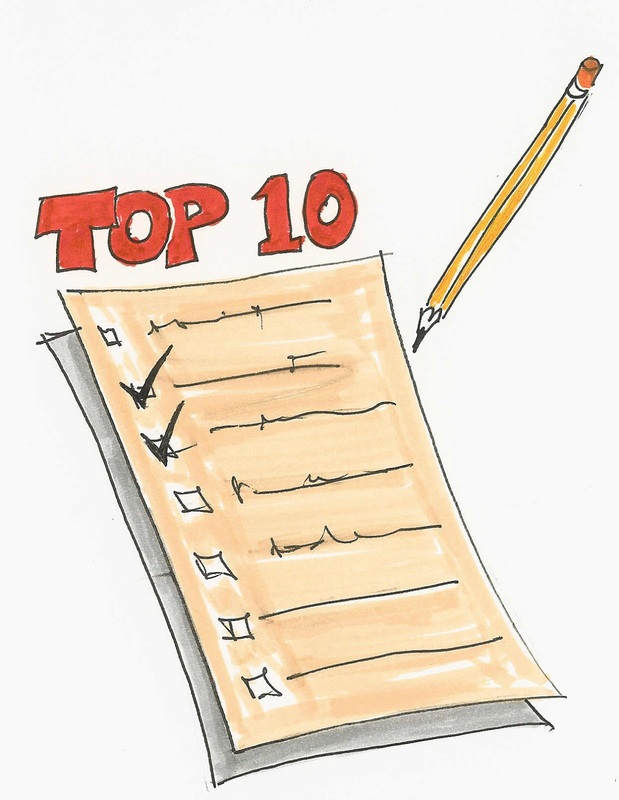 Accuracy, flow, biblical basis, personalization to audience, and length are all worthy goals. But there is key point that trumps them all: the words must be interesting. So much so that no one should fall asleep. More importantly, so I don’t fall asleep. You might rate this more highly if you also told the same stories over and over and over and over. Then there are the infamous Multimedia Presentations. Powerpoints and videos are awesome. And, at the most inopportune moment, the sound shuts off while the lights stay on, so the poor washed-out characters just move their mouths and flail their arms and we have no idea what is going on. Of course I must have Props. And a Table. You know what I’m talking about: all missionaries must have one. One of those displays in the foyer with all the cool artifacts and pictures of their family members eating bugs or crouching in a hut. I don’t have those photos yet, but I do have some cool artifacts, thanks to a friend who served in PNG. And Literature. People need something to bring home and remember why they sat through the presentation, especially if the video goes kaput. But the real challenge is knowing how much to bring. Something very strange and psychological happens when people come to a table to look at literature. I call it the Huge Stack Phenomenon: I may only hand out four brochures, but none will go if there aren’t 20 out there. Unfortunately, huge stacks are heavy. "Do not use with pacemakers..."
None of this really covers the actual organizing of the events themselves, the food, the advertising, the correspondence (thankfully by email, otherwise we would have demolished a rainforest…), the maps… Loads of maps. If someone wanted to plan a stealth attack on the small towns of Minnesota, I have more than enough maps. I could supply their whole legion. And I’m sure there are things I’ve forgotten. Maybe because at this point my mind is Partially Debilitated. Regardless of all the Potential Disasters or Possible Drama, in the end, all of this PD really is Perfectly Delightful. You think he only crows at dawn? 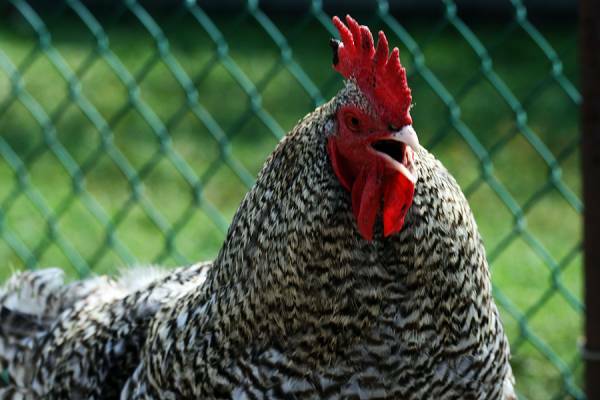 ﻿﻿﻿﻿﻿﻿﻿﻿﻿﻿﻿﻿﻿﻿For many of you, chickens are a classic and picturesque farm animal. As the sun creeps over the horizon, the iridescent rooster, shimmering in all shades of red and green, flaps to his perch on a barn roof or fence post. The hens stretch on their roosts, while the broody mothers cackle gently at their chicks. As the farm wakes up, the rooster throws back his head, and welcomes the dawn in one full-throated cockle-doodle-doo! Growing up on a farm, my sister and I were the labor force for our own flock of chickens. Chickens, let me educate you, aren’t terribly intelligent. 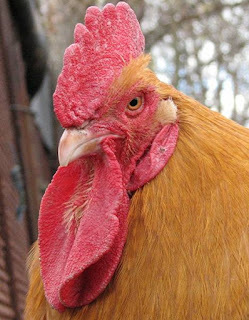 They would fall over dead in thunderstorms (from the fright) and peck at the barn wall (they liked eating red things). The persnickety hens would refuse all but one nesting box, choosing instead to sit on top of each other rather than use an open nest, and they would authoritatively peck the cats who tried to sneak scraps from the chicken treats. On second thought, maybe the cats should have received the Darwin Award. But, even if they weren’t intelligent, chickens certainly were single-minded, and the rooster most of all. He began screaming for breakfast between 5 and 6 am, and his hoarse hollering would last the entire day. We had timid roosters who hid behind a tree at our approach, and friendly ones who would come when we called. Only one ever had a name. He was so mean that we gave him to a chicken-loving friend. One winter day, he was even too much for her, so she threw him out, into a snowbank. Although he survived the cold winter night, he lost his legs below the feathers…and became the most docile chicken she ever had. Good ole’ Stumpy. But there is only one rooster that will forever be remembered in Rivard history. A mammoth New Hampshire Red, whose goal was to tear life from two little egg-gathering girls. Chicken-Godzilla. My sister, Hannah, and I would creep into the chicken yard, one armed with a leaf rake, the other, with a steel pole. Back-to-back, we brandished our weapons as vigilant as any SWAT team. "Here he comes!” Godzilla would race at us, his beak snapping, ready to grab onto flesh, all the while beating his killer wings. Our 10- and 8-year old arms weren’t very long, so we learned patience in the face of his razor-sharp spurs, until he flew close enough…then…Thwack! Swoop! RUN!! Even if we didn’t make contact, it bought us enough time to race for the chicken house, where one guarded the doors while the other quickly scooped up all the eggs. Then it was another harrowing journey out before we slammed the fence gate shut and could breathe in safety. Despite my scarring experiences with roosters, I’m eager to tell you about STEER, a unique, nation-wide organization that partners with farmers and ranchers in giving to missions (check out this cool video: http://www.steerinc.com/Farmer-Rancher.html ). STEER provides the start-up resources (through donors, so it’s not a loan), for farmers to purchase agricultural projects, including all types of livestock or seed. The farmer then raises or grows the product along with his or her own, and after market, the profits of the STEER project go to the missionary or one of the 80+ mission agencies of the farmer’s choice. It’s a great opportunity for 4-H projects and more! Check out the calendar tab in the menu bar to learn more about the various meetings this next week hosted by myself and Bruce Brunner, the STEER representative for Minnesota. As a farm girl, I, of course, have been thrilled to learn of this ministry opportunity. Too bad I didn’t know about it when I was in 4-H. Maybe Chicken-Godzilla could have been useful for something. But actually, it is not such an unreasonable question. Did you know there are actually four different countries named Guinea? First there, is Guinea, a country in West Africa, and formerly the colony of French Guinea. Then there is Guinea-Bissau, also a country in West Africa, but this one is formerly the colony of Portuguese Guinea. Next there is the country of Equatorial Guinea, located in Central Africa, formerly the colony of Spanish Guinea. 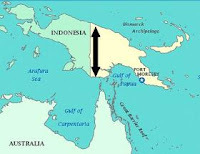 Finally, there is Papua New Guinea, a country in Oceania just north of Australia. This is my Guinea. It was named after the first Guinea by unimaginative explorers who thought the people looked similar to Africans. Papua New Guinea (or PNG) occupies the eastern half of the island of—I bet you can’t guess the name—New Guinea. Yes, the entire island is called Guinea as well. 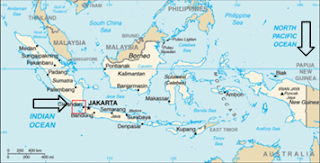 (Even more confusing is the fact that the western half of the island, a province of Indonesia, used to be called Irian Jaya, but is now simply referred to as West Papua). Just to make matters worse, there is also a Gulf of Guinea, various Guinea forests, and even a Guinea that is part of Gloucester County, Virginia, USA. The names of Guyana and French Guiana, countries in South America, may look similar, but they aren’t related to Guinea at all. Why all these Guineas? No one is entirely sure. Perhaps it they were named for a general region, or perhaps they were derived from words used in reference to the gold trade (found in tropical areas). Regardless of the history, they currently present some very amusing mix-ups when I explain my destination. But while it is rather understandable to think I’m going to Africa, it is probably best to avoid confusing Papua New Guinea with the other Guineas. You know: guinea pigs (a rodent which some people consider a food and others a pet…), guinea fowl (very noisy creatures that like to scratch for bugs and drove our poor chicken hens crazy), guinea coin (a British currency worth 21 shillings), or a guinea worm (a nasty parasite found in Africa).